Athletes training for a marathon often seek out a coach with the knowledge and expertise to offer the professional guidance and support needed to not only run the race, but run it faster and more efficiently. The same is true for managing wealth in today’s complex global markets. Comprehensive wealth management takes a set of skills that goes well beyond general financial planning. It takes a seasoned advisor who has the wisdom, knowledge and access to specialized resources that are designed to tackle today’s fierce challenges. As an experienced financial advisor, I know what it takes to achieve results. 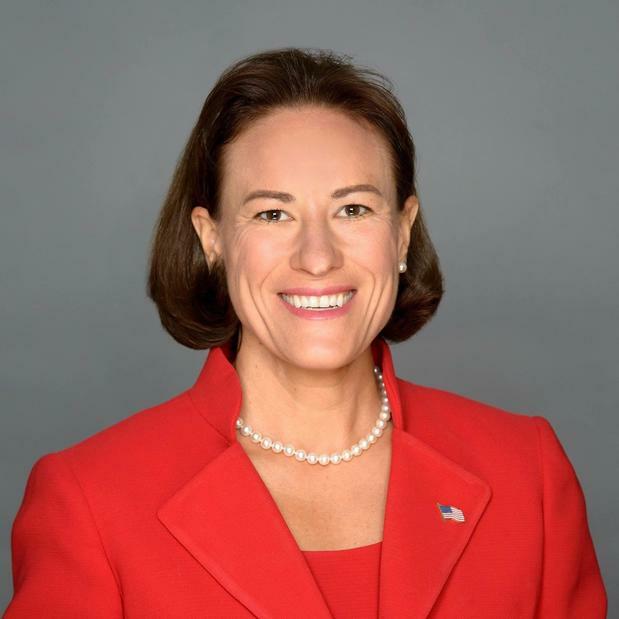 My consultative approach covers the full spectrum of customized strategies for financially successful individuals and families planning for retirement and other long-term goals. What’s more, my emphasis on education and commitment to outstanding service allows me to take the emotion out of important decision making to bring a disciplined process to smart money management. As we begin to work together, you will experience a forward-thinking approach that focuses on achieving your particular goals and becoming financially independent. Serving as your financial coach, I will review all aspects of your financial life to create a tailored strategy that is designed to help achieve financial success over multiple generations and enable you to do more with your money. I believe planning is a "living" process that must be diligently reviewed and cultivated. My goals-based approach identifies and implements appropriate strategies designed to empower you to achieve - and maintain - financial success. Ultimately, goals-based investing empowers you to be more confident in your investment decisions now and in the future. Your wealth strategy doesn’t just consider your investment objectives. Rather, it is tailored to address the personal life goals you’ve identifies and prioritized. 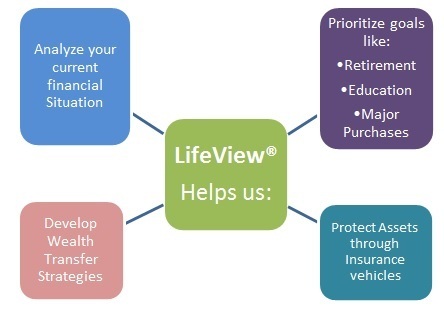 Using our suite of tools – our LifeView® platform – I can create your personal roadmap to help achieve and preserve your goals – a framework that makes the connection between your life goals and your financial resources, and provides a baseline for future discussions. Providing my clients with guidance about their financial futures is the foundation on which I’ve built my practice. Whether I’m advising a business owner on a life-changing liquidity event, helping a successful professional plan for retirement, or assisting couples manage their assets more tax efficiently, I am dedicated to helping my clients achieve their financial goals. My mission is to empower them to be confident in their financial decisions through education and understanding, so they have the financial freedom to pursue their own hopes and dreams. I bring a lifetime of experience to my role as a wealth management professional. Growing up in a family dedicated to running a successful small business, I developed a strong work ethic at an early age. I learned the importance of saving and investing, as well as donating to causes near to our hearts. Watching my savings grow, I was fascinated with investing and knew that if I could someday be formally educated about finance, I could be extremely helpful to others. I was also an accomplished musician, following in the footsteps of many family members dedicated to the arts. After building a rewarding career in music where I enjoyed performing in both the Reno Philharmonic Orchestra and the Reno Chamber Orchestra for 15 years, I decided it was time to pursue my original passion to work in wealth management where I could focus on helping underserved individuals and families achieve their financial goals. Upon winning a state music competition and being introduced to a senior executive in financial services, I was given the opportunity to join the Morgan Stanley family. It has been one of the best decisions of my life. Today, I am privileged to work with a small, but select group of clients. It gives me great joy and purpose to help them succeed financially, knowing they can take better care of the people they love, spend more time pursuing activities they enjoy, and support the causes that are most important to them.